Are you looking for stock photos / free images for blogs that increase your blog value? Are you tired of the same stock photos? Fortunately, We have lot of free photo websites popping around us, gives you many options to find related images for your blog. For my readers, I figured out top online image sources that actually you want to use in your blog. This list may save your time to figure out perfect picture. Here I am providing full details regarding each website, be sure to review the sites license agreement to know that how photos can be used and modified. Pixels makes every one can easily accessible thousands of high quality photos form their database every day. Pixels not only provides high quality images from their database, It pulls from their community members and their creative photographers. It also searches other sites including pixbay. Any one can use these images and modified for commercial and non commercial uses. No attribution is required. Free range stock has lot of free photo collections available for commercial and non commercial. According to their website statement, Photos are from their photographers and community members and archives. They request you to add image credit as follow image courtesy by www.frerangestock.com as well as image credit for author if there is. Travel coffee book is a great place to find sceneries and land mark photos. All images available under creative commons zero. If you love travel, you can also submit your travel photos to this website. Superfamous provides you high quality eye catching pictures by Folkert Gorter. They are subject to the creative commons Attribution 3.0 license and any one can be used this pictures as long as you give credit. Unrestrictedstok.com offers you royalty free images, videos at no cost. As per their website statement you can edit or do anything with their photo collection. They have fewer restrictions to use their website which should be checked out before using their website. According to stocksnap.io website statement, They offer images under creative commons and zero. Any one can copy images and modified and distributed. You can also use these images commercially. No attribution is required. They provide pictures around the web as well as form their talented photographers. Free Refe Real Life Photos is by Getrefe.com offers royalty free images. All photos are free and grand look like themes. 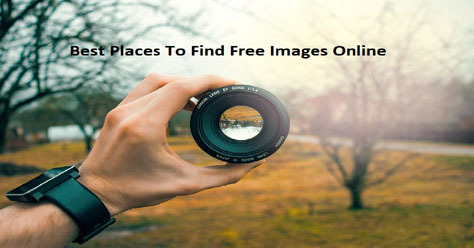 This is the best place to find free images for blogs. Gratistography provides free royalty images by Ryan McGuire that are offered under same term like Creative Commons Zero. You no need to add attribution but there is a some common sense limitations to using their images. Life of Pix is a small website but it has high resolution beautiful image collections. Which can be used for personal and commercial purpose. There is no copy right restrictions. If you need videos you can check out Life of Vids. Splitshire provides free stock images that can be used for commercial and non commercial purpose. According to the websites statement , these images have been used by the top websites like CNN, Huffington post and other websites. Pixabay has around 5300000 pictures and vectors and illustrations. As per their website statement, all images are released under creative commons CCO into the public domain and can be used royalty free. In this website, Search feature makes you to find what you are looking for. MMT gives you access to lot of free photos and videos for commercial use. This website officially launched in 2014 by the founder, Jeffery Betts, to share his love of photography with the world. They update new photos every week also the images have been featured in Shopify and canva. All Images are available under creative commons CC0 license. Foter has almost 220 million free creative common images. Foter has a word press plugin which makes this website unique. Rgbstock has versatile images and graphics to download for free. Rgbstock has a detailed note that state how can use these images and how cannot be used. ISO Republic has thousands of images and videos available under creative common CC0 license. You can use their search function to find what you are looking for. Just like website titles indicates, foodiesfeed is a great website for food bloggers. You can find any type of images related to food. All images are free to download under creative commons zero license. This is a perfect website for food bloggers. You can find out some cool high resolution images on DesignersPics.com which are taken by Jeshu John. All images are free to download and you can use these images for commercial and non commercial purpose. No attribution is required. If you found this post” free images for blogs”,Please share it with your friends on social media like Facebook, Twitter. If you have any other sites, feel free to share with us.